Impressive and gritty, a recommended watch! Summary : Sigaram Thodu is painstakingly written, grippingly made, meticulously thought-out and executed with great confidence. What makes the film remarkable is Gaurav’s realistic approach with the right amount of commercialism supported by a lucid narration and clean performances. Gaurav Narayanan’s Sigaram Thodu is painstakingly written, grippingly made, meticulously thought-out and executed with great confidence. What makes the film remarkable is Gaurav’s realistic approach with the right amount of commercialism supported by a lucid narration and clean performances. It is a perfect example of under-promise and over-delivery. To be fair and honest, I had only minimal expectations for the film and I would like to admit that I approached the film with some skepticism. But, I came out with a quite satisfying film barring one or two scenes which were trite. 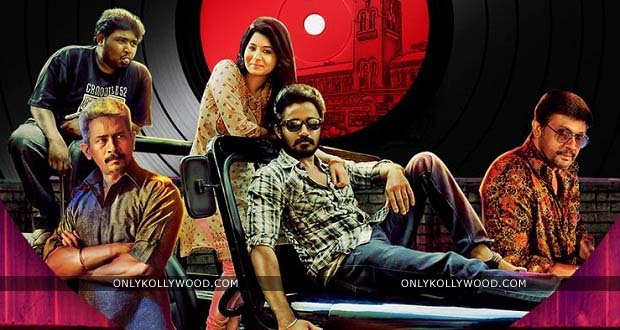 It won’t be a hyperbole to say Sigaram Thodu is a neatly written commercial film in a long time. Murali Pandian (Vikram Prabhu) aspires to be a bank manager and frantically tries to impress the bank staff to fetch an ordinary 9 to 5 white-collar job. All he seeks is a peaceful, no-nonsense life sans hardships. On the other hand, Murali Pandian’s father Chellappa (Sathyaraj) is a martinet, who after serving as an honest police officer, works in Crime Records Bureau for reasons you will find in the film. Sathyaraj dreams of Vikram Prabhu to win the prestigious gallantry award someday– the best police officer in Tamil Nadu. Will Vikram Prabhu relinquish his dream for his father or not? The entire plot revolves around this simple one-liner. 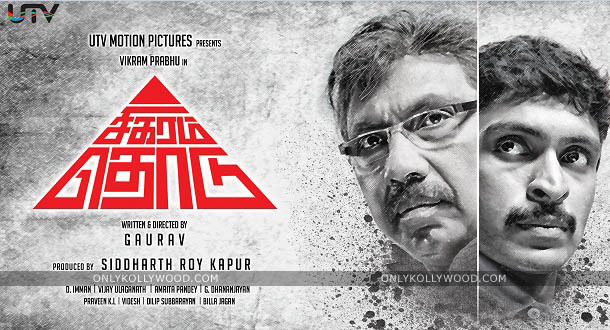 The first half of Sigaram Thodu is pretty engaging, especially the twenty minutes before interval. Except for the clichéd romantic scenes between Vikram Prabhu and Monal Gajjar, the first half has no smirks whatsoever. Gaurav has smartly weaved the rampant white-collar crime – ATM robbery, identity theft, credit card/debit card forgery; call it however you like – that is so prevalent in India with the familiar father-son relationship angle that is so prevalent in Tamil cinema to narrate an engaging thriller. While Gaurav lets us think that ATM robbery is a layman’s job with a pinch of smartness in the first half, he takes a detour in the second half with a coherent, pragmatic screenplay replete with details on how it’s done. If one has to nitpick, the song Scene-u Scene-u could have been done away with for it spoils the momentum in the second half initially. But later, the film picks up seamlessly, thanks to Gaurav’s scrupulous attention to details. In fact, it’s so alarming to learn how identity theft has been carried out by offenders with ingenious solutions. On that note, Sigaram Thodu is a highly recommended film solely for the police-procedural subplot gone into the narration to unmask culprits involved in money laundering. For example, ATM skimming is showcased brilliantly on screen that you keep telling yourselves to be alert next time when you drop money from an ATM. Gaurav’s gritty effort to offer viewers a largely understandable and relatable film deserves applause. The characterization involved in the film is pretty good, I must say. Even Gaurav, who surprisingly plays one of the antagonists in the film, has done a fair job. Vikram Prabhu has delivered a good performance without any larger-than-life shades. Sathyaraj, both as a doting father and a sincere police officer, has churned out a nifty performance. While Sathish and Erode Mahesh manage to bring the roof down in regular intervals, Monal Gajjar has made a neat debut and also utters the most sensible dialogue (in the hospital –second half) in the film. There are few characters in the second half which will make you scowl for their necessity in the story, but trust me, almost every character in the film is interlinked to the narration mostly organically without blatant contrivances. 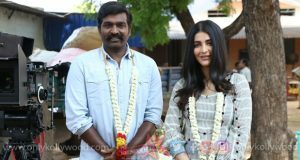 Imman’s background score is compelling and Vijay Ulaganath’s cinematography is splendid, especially the picturesque locations of north India are captured beautifully on screen. But, the lynchpin of the film is KL Praveen’s exceptional editing work with great finesse. There are some lovely scene-transitions that are smartly done and you can’t help but notice. Sigaram Thodu is impressive and a recommended watch.